We boast a modern, fuel efficient fleet of 17 diverse delivery vehicles operated by highly trained and reliable drivers. Our LGV vehicles are all fitted with mechanical offload facilities. 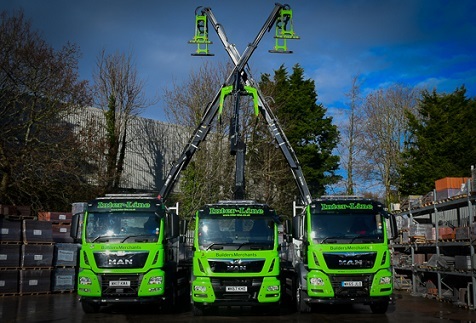 This enables us to offer an efficient and effective service that is the envy of builders’ merchants in our area. For specialist products or large volumes we can also arrange a direct delivery from the manufacturer to your specified delivery address. All orders over £100 excluding VAT are delivered free within our usual area of operation. Deliveries under this threshold will be liable to a small delivery charge of £10 plus VAT. What areas do you deliver to in the UK? Our current areas of operation are shown below, covering all parts of Torbay, Teignbridge, Exeter and large parts of South Hams. Note:If you try to place an order online for delivery outside of our area, the transaction will not continue past the checkout stage. We often have the ability to deliver outside of these areas, if this applies to you please contact a member of our sales team. Please note that we offer either an AM or PM slot for your delivery. Deliveries are to the kerbside only. Please ensure you have the necessary ability and equipment (if required) to move the items into your property. We will endeavour to meet your expectations on your delivery day, we'll do our best to let you know if we're going to be late. 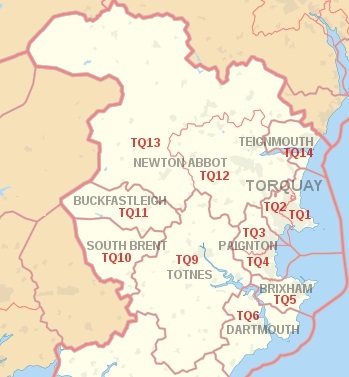 All TQ postcode areas shown on the map below are delivery areas covered by our normal operation. 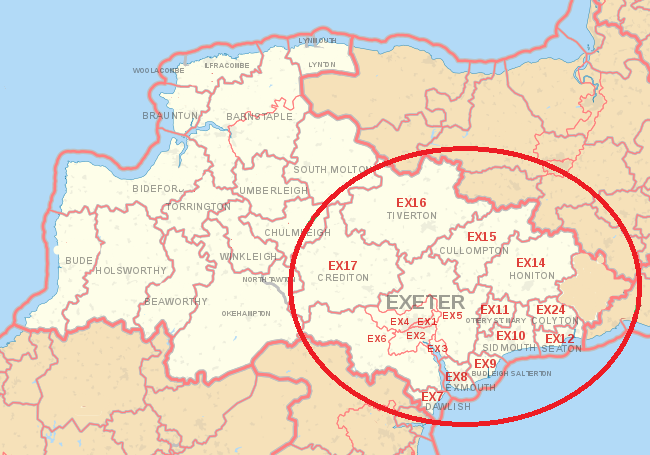 All EX areas shown on the map below (within the red circle) are delivery areas covered by our normal operation.